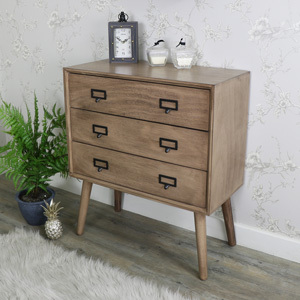 The Brixham Range is an incredibly popular and stylish selection of mid-century modern style brown wooden furniture. The Range includes several different side table, console table and chest of drawers designs. 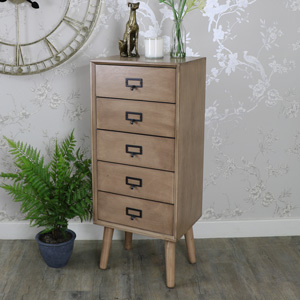 The Brixham Range has a smooth, natural wooden finish, coned legs and black metal vintage style label style handles. 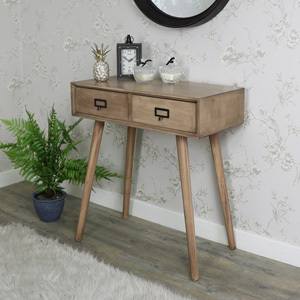 The Brixham Range is ideal for anyone who wants to a retro feel or some Danish charm to their living space. This collection has an understated yet classic vibe and would look amazing in an office, living room, hallway or bedroom. Take a look at the full Brixham Range and find your favourite piece – let’s get retro!